developing characters, set layout, lines of dialogue, etc., etc. So much so lately that I find myself writing quick one liners and notes on any paper I can find at any moment of the day I happen to come up with an idea. So this morning, as I was organizing myself for a meeting with my producers, I noticed that I have notes on napkins, 2 am sleepless ramblings on several random yellow legal pads, backs of receipts, on envelopes, post-it notes, and on any and every possible slip of paper that was handy at the time so that I can transfer them later to my computer. I also did this when I was writing my novel, Excess Baggage, by the way. I know, call me crazy, but isn't that what your Blackberry is for, Tracy  to keep my notes and musings organized and in one place? Puh-leez, have you ever tried to type dialogue into a Blackberry Curve in your bed at 3 am. I'm sorry, it can't be done. And no, I'm just not one of those people who likes to dictate into a recorder for playback later. I'll never play it back and therefore, it will never get transferred to my computer later. So much for modern technology, huh? It occurred to me that I might not be the only one with a crazy writing system. P.G. Wodehouse pinned pages of his current story up on the wall; William Faulkner, however, actually wrote scribblings and outlines on the wall of his house; and Voltaire, used his lover's naked back as a writing desk. Call me old fashioned, but my system works for me. And maybe it's my way of recycling all those little bits of paper that seem to be lying around here and there... now where exactly did I put that grocery list? The place to find me, a place to keep up with what is going on in my life and career. My debut novel, Excess Baggage, is finished, published and available. It is a grand adventure and one in which you're invited to come along! My very first stageplay. I've been wanting to write plays since the seventh grade and now my very first complete one has won a prize! How fun it that? 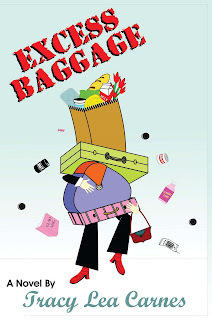 EXCESS BAGGAGE, is available online now at amazon.com and barnesandnoble.com. Kelly Carmichael can’t seem to find her niche in life. Her father pushes her in one direction while her mother pulls her in another. Now almost thirty, she grows weary of pursuing someone else’s happiness. But just when she believes she has found the perfect career and the love of her life in Memphis, her father dies. Now she is forced to give up her dream job to take care of the mother she doesn’t understand and deal with the harsh reality of a father she thought she knew. When she is finally ready to resume her life in Memphis, she is set back once again, this time with ulcerative colitis and the horrible changes in her body she must deal with as she fights to keep her boyfriend, gets to know her mother, and adjusts to her changing life in a small southern town. Tracy will be signing copies of EXCESS BAGGAGE and appearing at The Pulpwood Queens annual GIRLFRIEND WEEKEND from January 13th thru 17th in Jefferson, Texas. 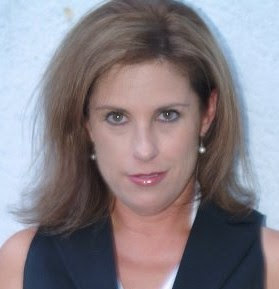 Also appearing at the event is the Pulpwood Queen herself, Kathy Patrick (The Pulpwood Queens Tiara Wearing Book-Sharing Guide to Life), Elizabeth Berg (Home Safe), Connie May Fowler (Before Women Had Wings) AND River Jordan (Saints in Limbo). Authors appearing at the annual GIRLFRIEND WEEKEND are either past or future Pulpwood Queens Book Club selections. CLICK HERE FOR MORE INFO!